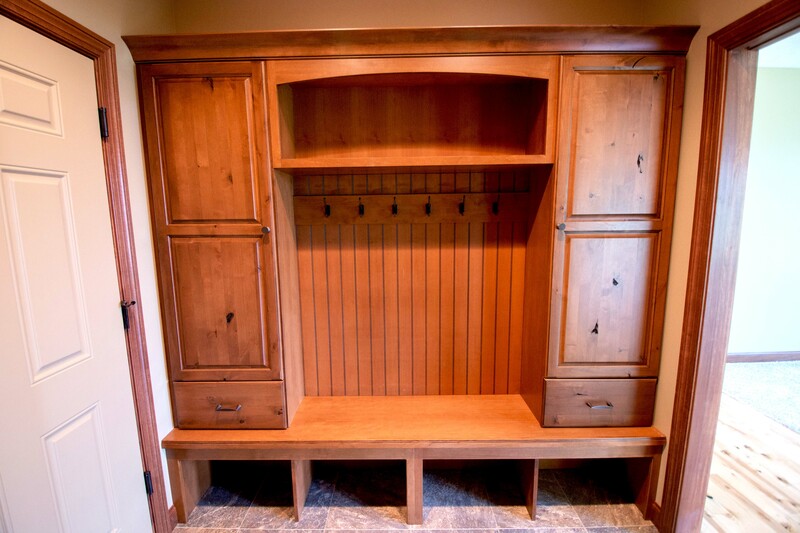 We include "extras" you will appreciate long after you move-in: here we include a bench, storage, and hooks for organization in the mudroom. We add features and create an environment that is beautiful, comfortable, and exciting all at our standard base pricing. A variety of upgrades throughout the building process are available and competitively priced. 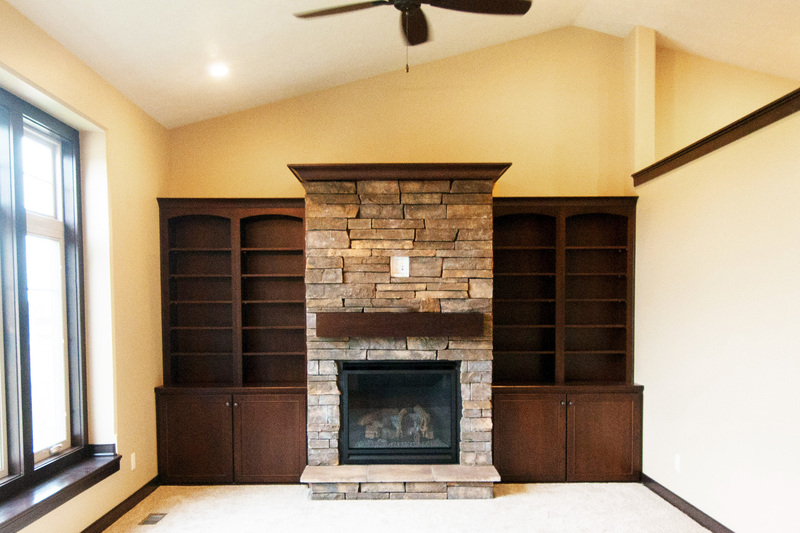 Here we upgraded the fireplace with custom shelving. 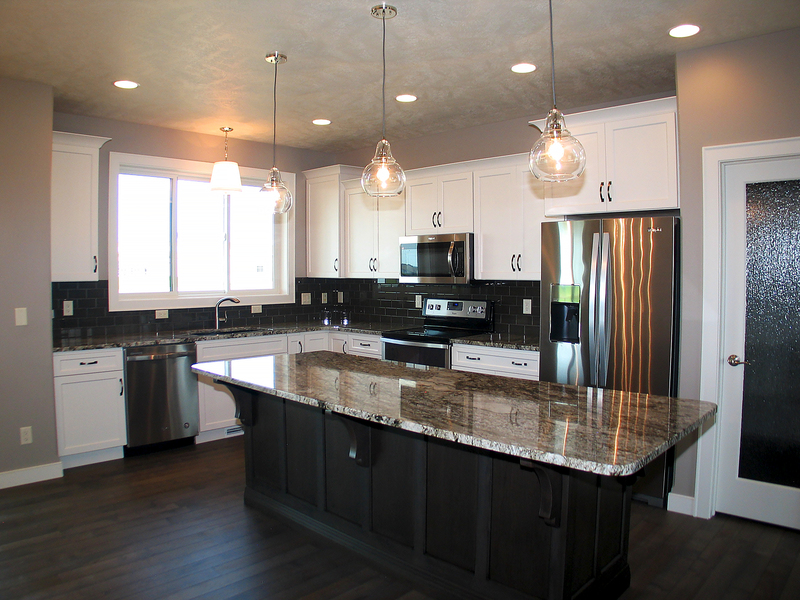 Ronning Homes is unique in that we not only use high quality lumber products but also build an extremely affordable finished home. Using the services of our lumberyard division, Home Building Supply, we have the ability to purchase the best products in large quantities saving you money and keeping your total costs down. One of our commitments to you is that we will do our best to help you spend your money as wisely as possible. 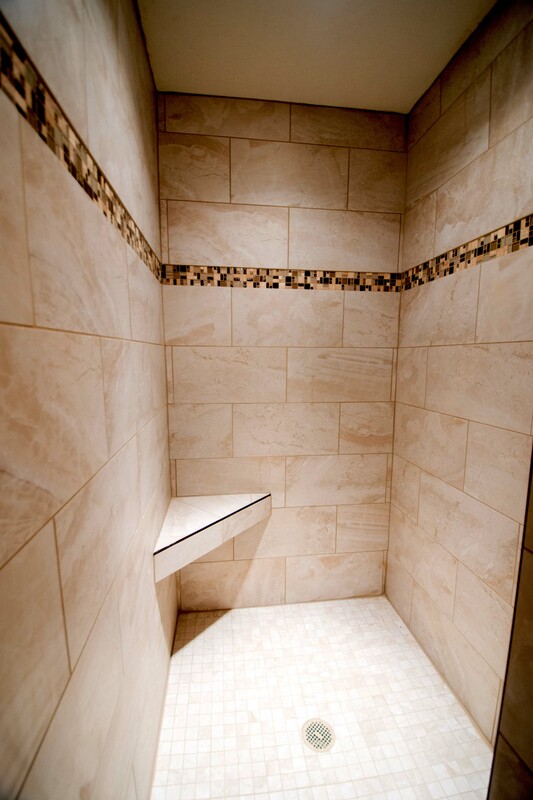 Additionally, we engineer and build all of our walls in a controlled environment producing a better product. 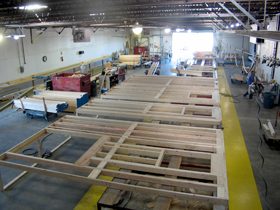 Our building system reduces wasted materials as well as the length of time it takes to build your home. With Ronning Homes, you can lock in the price of materials. We also guarantee the quantity of properly used materials required to finish your home. Our process has produced high quality homes at very competitive prices. 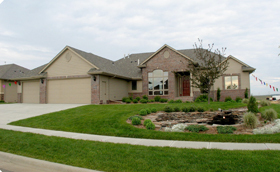 Call us at (605) 336-6000 or contact us for pricing on your new home at no cost.